Today I used floral stamp from Wplus9 for the background and there is a Hero Arts butterfly as the focal point. I used Shadow Ink and ink blending tool to colour him in and I added a whole lot of Stickles all over the place. Danes sem uporabila cvetlično štampiljko Wplus9 za ozadje, v ospredju pa je Hero Arts metulj. Uporabila sem Shadow blazinice in ga pobarvala s pomočjo blazinic za senčenje. Na koncu sem dodala en kup Stickles bleščic. 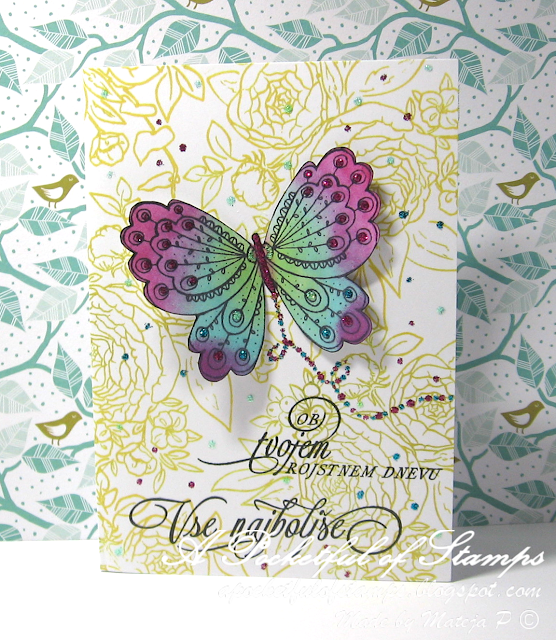 I love how the colours on the butterfly blend and how sparkly it is. You still have some time to participate in this month's challenge over at A Blog Named Hero. Res mi je všeč kako se barve na metulju prelivajo med seboj, predvsem pa vse bleščeče pikice. Še vedno imate čas, da sodelujete v mesečnem izzivu na A Blog Named Hero. 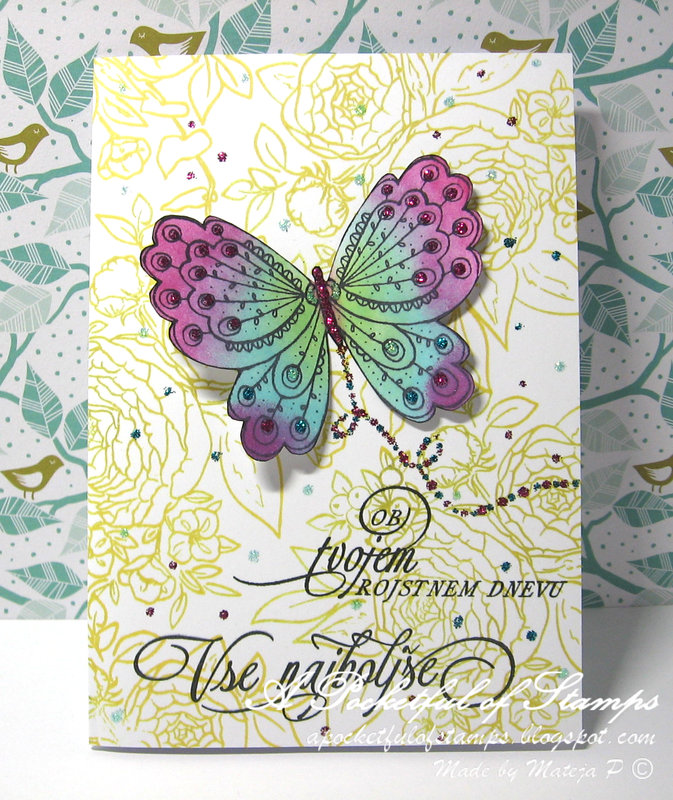 I'm entering this card into A Blog Named Hero Florals Challenge and gallery over at Najlepši par.